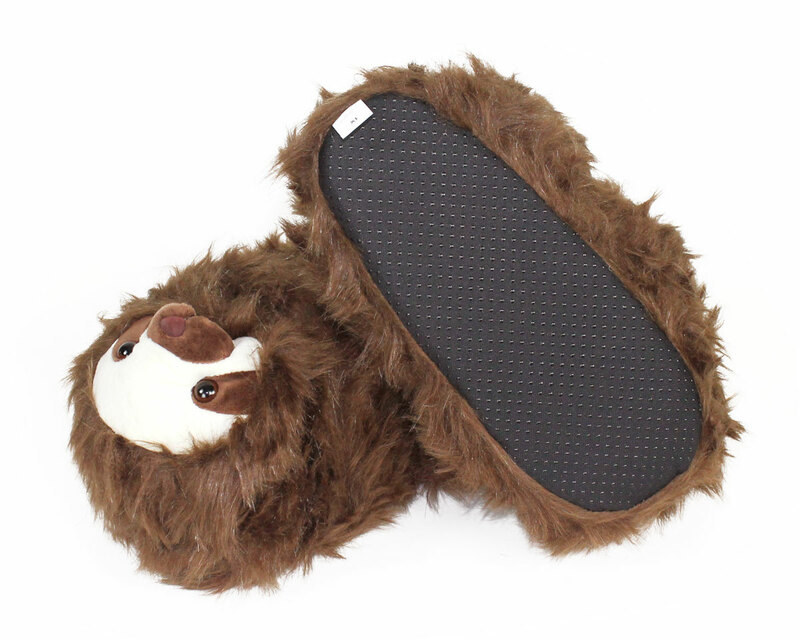 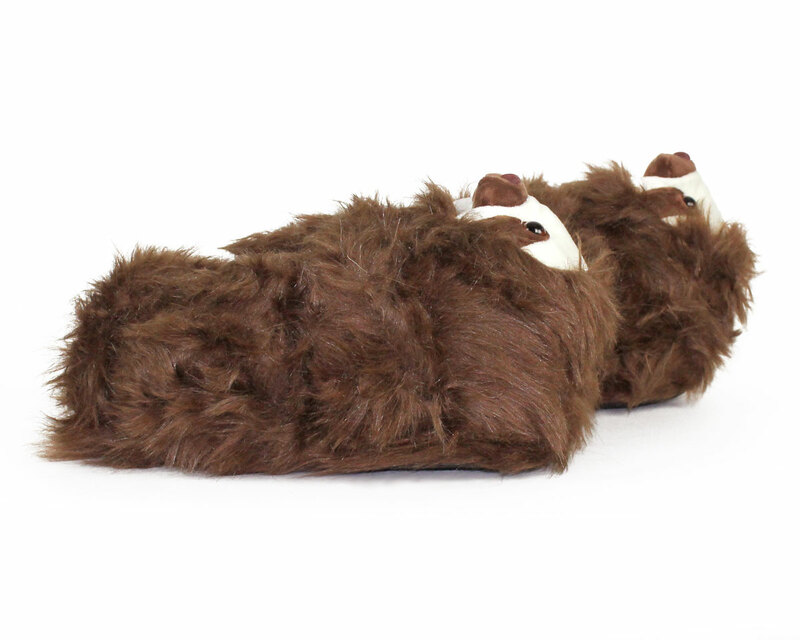 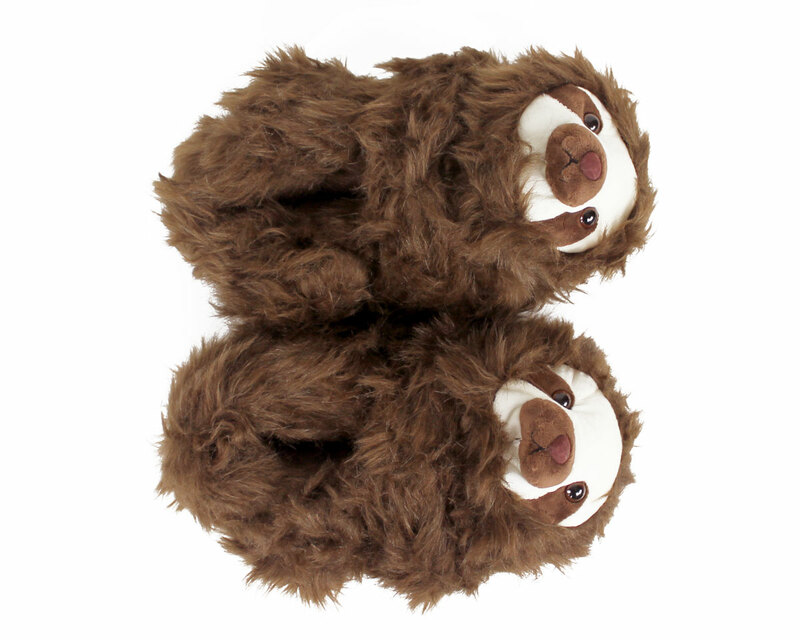 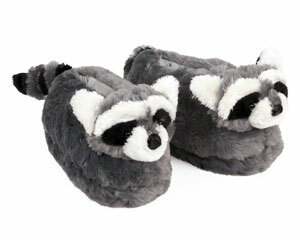 For those moments when you need to slllllooooooowwwwww doooowwwwwnnnnnnn…… we bring you these sloth slippers! 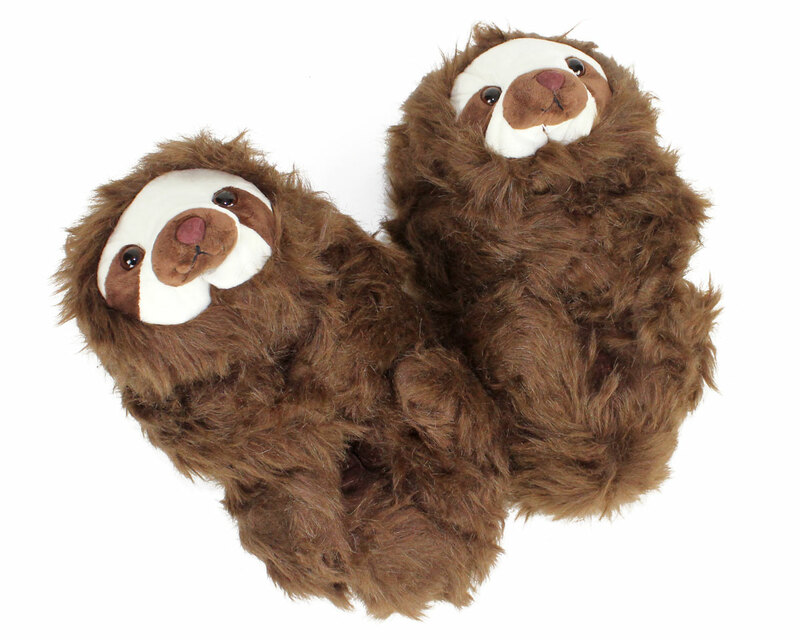 Known for their gentle and sleepy ways, you can channel the chilled out attitude of the sloth whenever you need to. 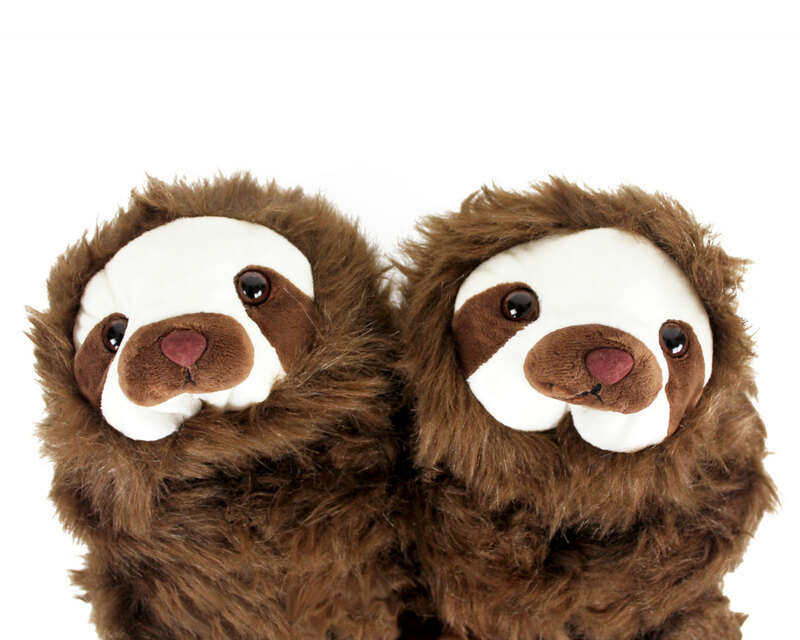 These sweet critters have the round faces with distinctive markings, adorable eyes, noses, and embroidered mouths. 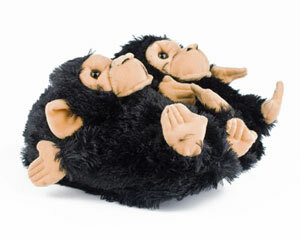 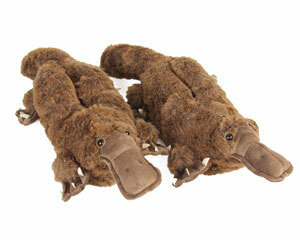 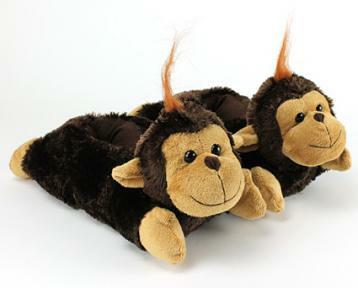 Made with soft brown fur, plush uppers, foam footbeds, and non-slip grips on soles.